The expenditures of funds on IT has continued to expand and a significant proportion of the expenditures are hidden, unaccounted, or never evaluated in terms of the business value derived from the expenditure. This paper focuses on the methods and means of creating a link between business requirements and the IT investments that can address those requirements. An ITIM framework is proposed, which addresses three key elements of ITIM: what decisions are to be made, who should make the decisions, and how decisions are to be made and monitored. ITIM is a management process that provides for the identification (pre-selection), selection, control, and evaluation of business driven IT investments across the investment lifecycle. ITIM uses structured processes to minimize risks and maximize return on investments. Additionally, a high-level ITIM implementation plan is discussed. The premise that technology investments should be prioritized, executed, and measured based on the benefits related to achieving business strategic goals and objectives. 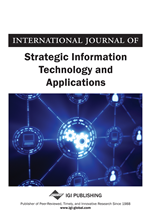 This work focuses on the methods and means of creating a linkage between business requirements and the information technology investments that can address those requirements. An ITIM framework is proposed, which addresses three key elements of ITIM: what decisions are to be made, who should make the decisions, and how decisions are to be made and monitored. Additionally, a high- level ITIM implementation plan is discussed. A rational investor chooses greater value over less value. A rational investor chooses less risk over more risk. An investment goal may be supported by more than one optimal portfolio. The probability of success increases over time with diversification. In financial markets, it is now standard and accepted practice to apply MPT to the development of investment instruments. Most retirement plans for example offer one or more versions of an investment strategy based on MPT.